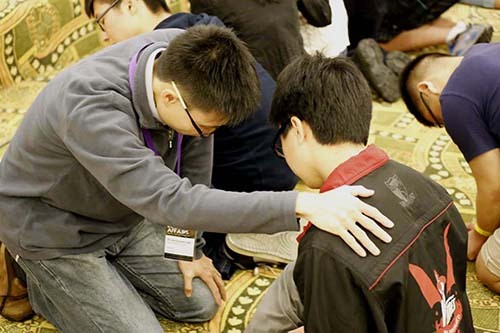 More than 400 youth and young adult leaders were urged to “look at the internal affairs of the heart and to take time for God to search hearts, invite Him to do heart transplants, godly cardiac arrests, fix holes, install pacemakers and implement spiritual cardio exercises”. 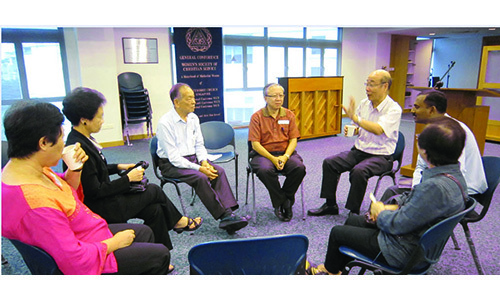 The Rev Khoo Kay Huat, Chairman of this year’s Young Methodist Leaders’ Conference (YMLC), went on to say: “We want God to breathe new life into our hearts, bringing resurrection power and bettering our inner lives”. 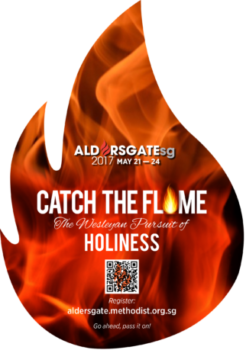 Held at the Holiday Inn Batam in September 2013, this yearly conference has been the turning point for many young adults who heard God’s call to them. This year’s conference theme verse was: “Above all else guard your heart, for it is the wellspring of life.” (Proverbs 4:23) Pastor Benny Ho, Senior Pastor of Faith Community Church, Perth, and the Rev Malcolm Tan, Pastor-in-Charge, Barker Road Methodist Church shared insights and truths from God’s word. Six plenary sessions covered relevant ministry and personal Christian growth topics such as service, the busyness of life, temptation and brokenness. On top of the Word sessions, there were many opportunities to be in God’s presence, dwelling in Spirit-filled worship sessions and heart-changing ministry times. Like Mr Rozario and many others, this was my first time attending the conference, and I was thankful for three days well spent in God’s presence. The message “When we are serving the King” delivered by Pastor Ho really cut to the heart and made me think about what is the right attitude to have when serving God. It reminded me of how generous God is and His big heart for Man. My takeaway was three important lessons: Toward God, not to be calculative; toward others, not to be competitive; and toward myself, not to be conceited, but to be a bold and humble leader. I was awestruck during morning worship at how majestic God is, and was humbled by His great love for us, despite our many imperfections and weaknesses. I was amazed at the fact that though Man is full of flaws and unlovable, God not only accepts us, but goes the extra mile – He chases after us and even desires a relationship with us. His audacious love simply cannot be comprehended by human understanding but is revealed to us by His grace through the Holy Spirit. The many lessons and divine experiences from other attendees at the conference formed a beautiful tapestry of testimonies to God’s goodness and love, and His very evident presence at YMLC. 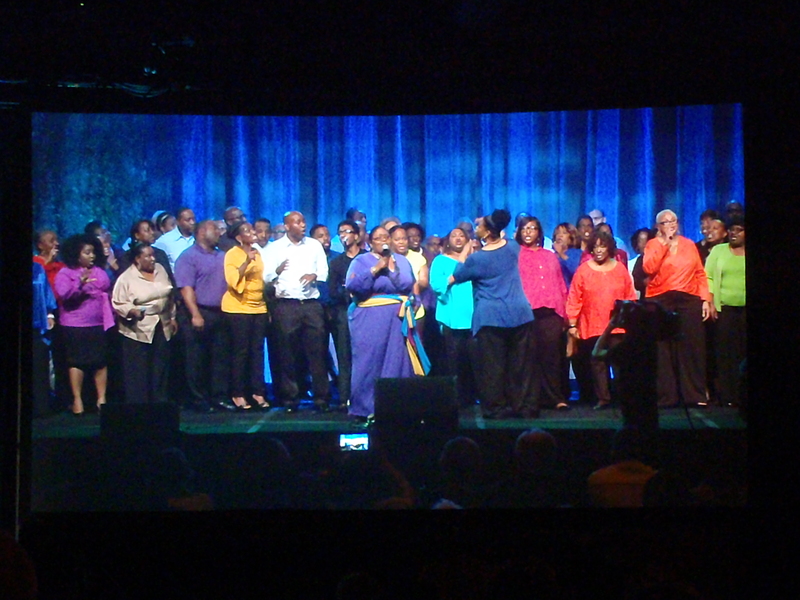 I would encourage young Methodist leaders to attend next year’s conference when it returns in September. It is a great opportunity to spend time with God and His people, discover God’s calling for your life, and most of all, have your heart changed by His divine presence. ENCOURAGE your church’s young leaders * by praying for God to touch and energise them for His work * by making room for them in your church’s various ministries * by making yourself available and approachable for mentoring relationships. Andrea Low is a volunteer contributor who is passionate about story-telling and travelling. A PR communications professional by day, she worships at Christalite Methodist Chapel.